One Day Bioawareness Workshop was arranged in Kharadar General Hospital in Karachi on 1 October 2018. 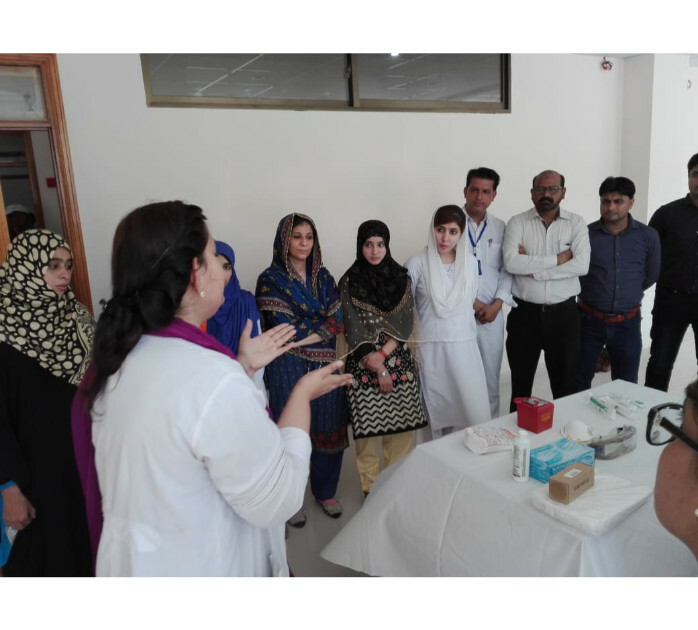 Local Staff consisting of Nurses, Doctors, and Lab Technicians were given awareness about biological risk mitigation. It was arranged to celebrate 100 years of excellence and services. Practical, hands-on training was provided to participants. They appreciated the efforts of PBSA and were committed to spreading the message of biosafety and biosecurity in their institutions. These efforts are part of biosafety month arranged at national level in various institutes and government organizations of Pakistan.